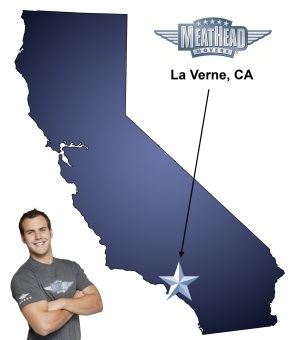 For a trouble-free move to La Verne, Meathead Movers is the company for you! Our professionally trained student-athlete La Verne movers are ready to get you into your new home. Even with its proximity to Los Angeles, La Verne offers a welcoming small-town charm. It gives you a home where you can relax and avoid the hustle and bustle of the big city. Don’t let your move overwhelm you; let our La Verne movers do all the heavy lifting. As your official La Verne moving team, we want to help make the transition to your new home as easy as possible. There are plenty of activities to enjoy in the La Verne area for both children and adults! You and your family can beat the summer heat at Raging Waters. If you love the outdoors, there are great hiking and horseback riding options at Frank G. Bonelli Regional Park. You can also enjoy a day of bird-watching around the Puddingstone Reservoir, or relax on the weekends at the Sierra La Verne golf course. Just outside of La Verne, residents can explore South Hills Park, San Dimas Canyon Park and Las Flores Park. For parents looking to raise their family, La Verne has a wonderful school district. In addition, many graduate schools, tech schools, and other universities are located nearby. From the University of Southern California in Los Angeles to the DeVry University Pomona Campus, your child can receive a wonderful education and never have to leave home. If you’re ready to move to La Verne and take advantage of its scenery and amenities, make Meathead your La Verne movers team. Our moving company specializes in local, long distance, and commercial moves to, from, and within La Verne. We also provide reliable packing, storage, on-site relocations, and our distinctive concierge service. Need help moving to La Verne and want a dependable mover? Our team of student-athlete La Verne movers can have you settled in your new home in no time. All our student-athlete movers are drug-free and thoroughly screened and trained before their very first move. When you entrust your move to Meathead, you can rest assured knowing that your move will be a success because our professional movers are the best movers the industry has to offer. From long-distance moves to local moving, our La Verne movers work quickly and carefully to welcome you to your new home in Southern California. Contact Meathead Movers today for a free moving quote and learn how we can get you into your dream home. With a 100% satisfaction guarantee, you have nothing to lose! Moving to La Verne? Here are some helpful resources. Cal West Environmental Services Inc.
View more La Verne resources. Easy to schedule. Movers show up on time and are polite and helpful. Improved communication from Front Office to Movers.